The inmates had managed the escape by using peanut butter to switch lettering on cell and outside doors. 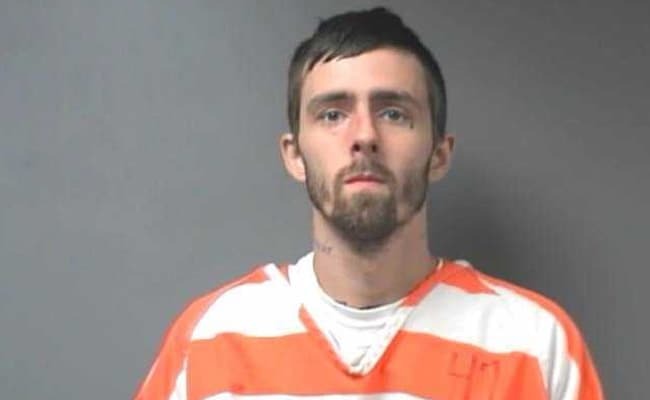 One of 12 inmates who broke out of a county jail in Alabama over the weekend remained at large on Monday, as the local sheriff said the escapees used peanut butter to disguise the numbers on a cell door and fool guards. Walker County Sheriff James Underwood said in a phone call that 11 of the 12 missing prisoners had been recaptured, some at a highway truck stop, but 24-year-old Brady Kilpatrick remained a fugitive. Kilpatrick had been in jail facing charges of marijuana possession. Underwood said the men had managed the escape by using peanut butter to switch lettering on cell and outside doors, then told a guard in a control booth, a new employee with only a week on the job, to open the door leading to their freedom. "They're very creative and you just have to stay on your toes all the time," Underwood said. "They selected someone who hadn't been here very long and they pulled this operation off." Underwood said his deputies were "working on some leads" to recapture Kilpatrick, but declined to elaborate so as not to jeopardize the investigation. The Walker County Sheriff's Office has offered a $500 reward for information leading to an arrest. Police in the small city of Jasper, where the jail is located, urged downtown residents to stay inside and turn on their outdoor lights. Police from nearby Parrish, Alabama, were also involved in the search. The dozen escapees, all men aged 18 to 30, were imprisoned on charges including robbery, attempted murder, domestic violence and drug possession. The jail from which the men escaped opened in 1998 and holds 250 inmates, according to the county sheriff's website.